I have finally after many years have a website up and running. 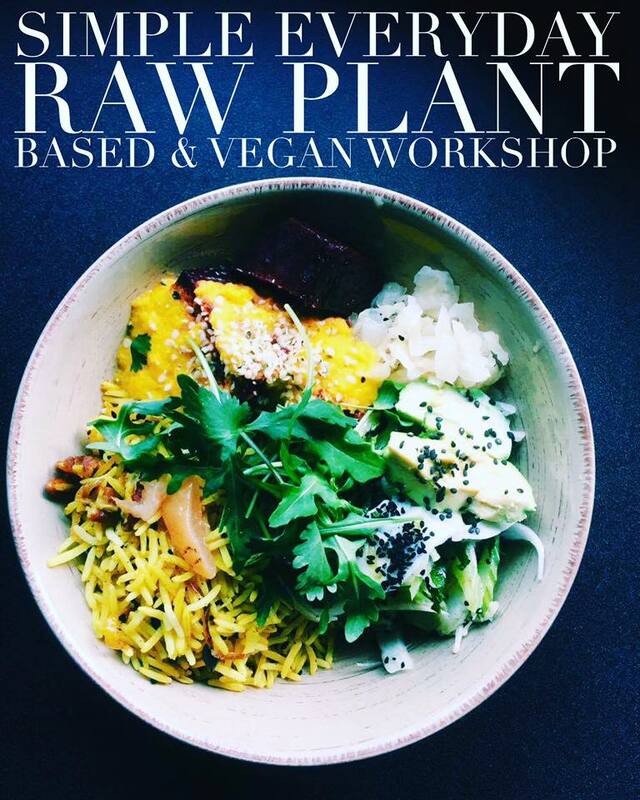 I get asked frequently about the basics of eating raw, plant based and vegan, tips, recipes, inspirations & ideas, so I've decided to put together a comprehensive 4 hour workshop to show you my everyday plant based fundamentals. I will give you tips & ideas, answer any questions, make you lunch, show you around my home kitchen and demonstrate as well as give you all my tried & tested foundation recipes from over the years as well as a copy of my 2012 ebook "Awakening to Raw"
+ How to set up a functional Everyday working space. + What tools are the most beneficial for everyday use. + Preparing certain foods in advance to make everyday clean eating simple. + How I eat most days, which is Buddha bowl styles and how to make various types with a flavor theme as your base. * 3 of my favorite everyday salad dressings for both salads & cooked vegan meals. + 3 of my favorite everyday salads, these are all salads that I've created as a raw vegan chef for various cafes. + How to make two types of vegan mylks, one being a nut free version. + 3 Easy breakfast ideas - smoothies, chia puds, and a living granola. + My favorite grain free "grains" and how to use them in a few different ways - quinoa & buckwheat. + A couple of great Everyday fermented foods, water kefir, my famous cashew lebneh cheese & sauerkraut. + My everyday medicinal whole lemon drink. + How to make the easiest vegan n'ice cream ever. + How to make the best fool proof raw vegan cheesecake batter for your freezer. + What crystal I use on a daily basis in my water. + Charging your food with prayer intent, crystals & sacred geometry. And of course you will get to sample all of these foods for lunch in a beautiful lushful setting at my private home in Wombat State Forest in Country Victoria, only an hours drive from Melbourne. IM BACK FROM HAWAI'I, with a load of new activations to share and ready to recommence classes from a new location in Elwood at House of Three on Ormond Road right in the Village. I will be running 2 weeks of KI FLOW Yoga 1.5 hour "TASTERS" for people to come try out my unique style of Yoga, Meditation, Breath workand Healing, or old students to reconnect before launching into and running on-going 6 week blocks for the rest of the year! This 6 week block will focus on the flow of divine feminine creation energy, in balance with the season of autumn, In chinese medicine we focus into the organs of the lung and large intestine and the emotions of grief and letting go. Limited places available so please lock in your place as soon as possible! ..."Renee's unique style of yoga, 'KiFlow Yoga' utilises subtle energy techniques to unravel even the most severe of biomechanical instabilities..."
One of the most transformative experiences of my yoga practice was when I spent some time working one-on-one with my yoga teacher as I was studying to become one. Imagine being able to do your own personal meditation, breathwork and yoga session without ever leaving the comfort of your own home, and If you are travelling all you need is your laptop and wifi! We are now offering on-line Skype or OoVoo, one-on-one mediation and yoga sessions that includes personal distant healing calibration and fine tuning from Jon during the session. 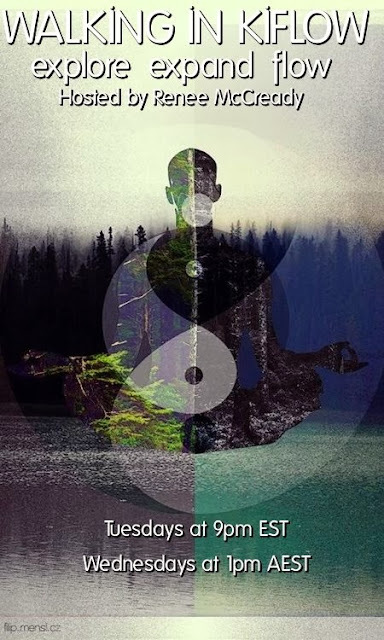 your specific needs, your body, your emotions and your well being, this includes an opening of each session with a channelled meditation aligning with your current spiritual journey and process. Contact Renée via email or facebook to make a session time no matter where you are on the globe, then Renée will send you an initial short questionnaire to learn about your vision, and goals of your practise and any insights and injuries you may need to work on or be mindful of. This will also open up and initial dialogue that we can continue, as we move through the practise together and shifts occur on all levels of your being. Also to start off I'm also offering a once per week global on-line yoga class with a maximum of 10 people which is done via skype or Oovoo video chat , each week will be a different format based on Renées unique therapeutic somatic style of teaching, you can read more about Ki Flow yoga HERE, day and time will be posted as EST USA - TBA. We are taking enquires so please contact asap. Below is a testimonial from one of my one-on-one students JP Reynolds in Hawaii, who has had incredible results after just 2 weeks from our sessions after breaking his back just 18 weeks previous. PLEASE NOTE: only PAYPAL to PAYPAL can be made this way until our donation button is resolved and we can then take credit and debit card payments once again. 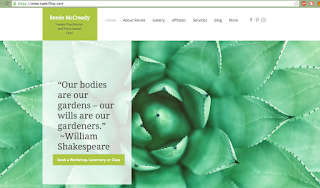 Together we have a unique way of working with a person's body and blueprint on all levels. Our focus is on soul integration and retrieval, psychic surgery, shamanic practices, integration of divine masculine and feminine aspects, blockage removal, ancestral karmic healing, light body activation, meridian system and 5 element balancing, acupressure, breath work, cellular re-patterning, and sacred geometry. Jon will work with you on the higher planes if needed. A session with us normally takes around 1 hour, and is done fully clothed, where we hold oneness space, so you feel safe and held. For a donation we also will do distant healing over skype. and for anything over $80 donation we will also send you Renée's raw food ebook AWAKENING TO RAW. I loved my healing session with Jon and Renee! After recently suffering from a broken heart, I didn’t know if I could ever trust again. Jon and Renee were not only there for me during my darkest moments, but they helped me get through the pain and reminded me of a higher vibrational perspective that was a path I could choose to take. During our healing session, they were able to lead me into a space where I could feel the divine love and comfort of what it is to trust and love again. It’s the first time I’ve reached this space within my heart in months. I feel great now, and carry this with me everyday. Thank you so much! You two are amazing!!!! "I had a most amazing healing session via Skype last night with Jon and Renee. Truly an experience as equally as heart-warming and beautiful as their current surroundings in Hawaii. This was my second experience with these folks and they are truly love filled magnificent practitioners and people." "highly recommend a healing with these 2. You also will love Renee's Raw Food E- book. The best Raw recipes that are easy to make"
"I had a healing last night with Renee and Jon which was awesome! Their connection is powerful and something special that I recommend to anyone in need of a healing and rebalance. They helped me shift back into high vibration which allowed my energy to flow clearly again. I also had immediate insights and synchronicity on my drive home and I had peaceful dreams of connecting with loved ones." 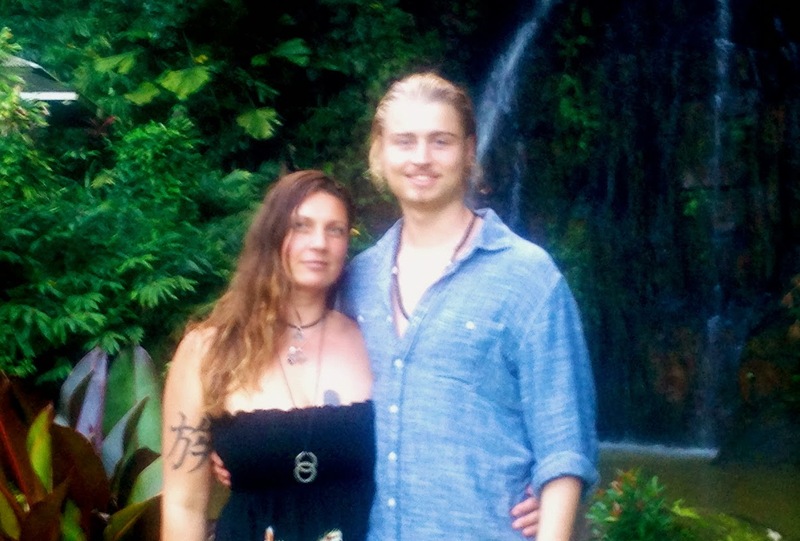 Just had an amazing distance healing session with two of the most beautiful beings I know Renee and Jon . They created the space and energetic support I needed in my field to really honor myself and my truth. Amazing what you can do when you find true love! Another awesome healing from Jon and Renee last night with much cleansing realigning and clearing past beliefs I've carried since the womb. Jon gave me clarity in my emotions and how I have lifted my vibration the sadness I felt wasn't so painful it was easy to go through and not feel completely wiped out like I usually feel. QUIET-LISTEN-LEARN-BE-LOVE. Every time I have a session with Renee and Jon, the most amazing and magnificent experiences begin to arrive in my life. While I have worked with hundreds of healing practitioners over the years, Jon and Renee are truly the cream of the crop. They give LOVE and APPRECIATION as well as HEALING a brand new higher vibrational meaning and most benevolent outcome. I have found myself truly being open and allowing rather than having any expectations at all. Thank you both. Be-the-LOVE-You-Seek. While each person may have different experiences, I am saving tons of money since working with Renee and Jon. Instead of believing and purchasing all the supplements, flower essences, and other supporting nutrients I believed I needed , I am finding myself feeling naturally better and invigorated after each session. These two practitioners are truly amazing as their hearts and minds are in the right place. Also they have wonderful and amazing teachers who also exemplify true love and healing. lifetimes worth of thankfulness for the amazing Skype healing i was just so lucky to receive. These amazing beauties are like air fresheners for your heart and soul. With the most beautiful smiles and energy they gently pull you back into self and put more wood and light on a fire already inside you Leaving your heart feeling full and radiating such a beautiful love and oneness, with a fire bigger than you imagined. I recommend anyone with an open heart to have a pay by donation Skype healing to support the amazing energy these delights are creating and radiating. they are pure deliciousness! Met a super AWE MAZING Light Being of a woman today and received one of the most powerful healings of my LIFE from her and her beloved. A true cosmic dream team. No words to describe..What a divine synchronicity- sharing their profound healing abilities .... Giving Infinite Thanks and Praises! Join Renée McCready and guests on 'Walking in Kiflow' as we explore and expand awareness around the cellular body and how it connects, integrates, activates and recalibrates energy. We will also look at spiritual nutrition and the energetics of plant-based foods; plus yoga, body consciousness, gaia, meditation, and breath, including how these all flow together in a co-creational process. Once your PAYPAL payment has been received you will immediately receive a PAYPAL receipt. I will be notified and email you the link to AWAKENING TO RAW ebook soon as your payment has cleared.